Since the rise of smartphones, there doesn’t seem to be a need for a separate GPS system in your car. We are here to tell you that’s just not true. Stand alone GPS navigation systems are much more convenient than the app on your smartphone. How so? Have you ever needed to know what turn to make and call comes through en route? Not only can this be frustrating, but it can also be dangerous if you are fumbling to with your phone instead of watching the road. The safer option is, of course, the larger screen that comes with most car GPS systems. Limitless Electronics is proud to carry only the top brand names in GPS to help you get the most out of your Idaho Falls GPS navigation system. Screen Size – One of the most popular sizes for GPS screens is about five inches. Many models that are created now hit this sweet spot. Need a larger screen? 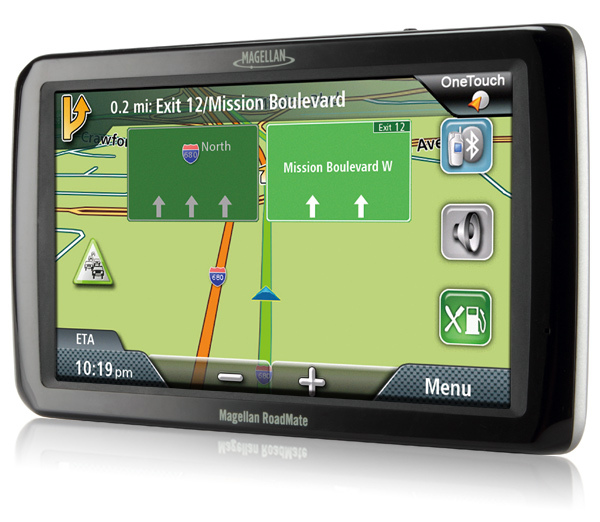 Then the bright, seven inch Magellan RoadMate 9055, is the perfect GPS for you. If you are looking to save some money you can always opt for a smaller screen size. Just make sure you have your reading glasses on. Maps – Many Idaho Falls GPS navigation systems come with preloaded maps of The United States, Canada and some even have Mexico on the device. It is important to note that you will need to update your maps every so often, since new roads are built all the time. Some devices come with free updates for a lifetime, this is especially important since updates can be expensive. You might end up dishing out more for Maps than you spent on your GPS! POI – Just like the maps that come preloaded on your GPS, you will also get a database of Points of Interest(POI). These are helpful when you need to find “the closest car audio store”, “Taco Bell” or “Movie Theater”. Some are designed to be very helpful, while other databases will leave you circling the block. If this features is important to you, speak with your Limitless Electronics Expert about which Idaho Falls GPS navigation system has a larger, more intuitive POI database. Live Traffic and Data – Possibly the greatest thing ever created for the GPS navigation system: live reports of traffic. If you want to avoid traffic jams, make sure that this feature is up to date when shopping for your GPS navigation unit. The Garmin nüvi 3597LMTHD will help to let you know if you are going into a traffic jam and will offer different route options. How convenient is that? These are just some of the basics when it comes to buying a standalone GPS navigation system in Idaho Falls. Come into our showroom today and one of our expertly trained staff members will be happy to help answer any of your GPS navigation questions.